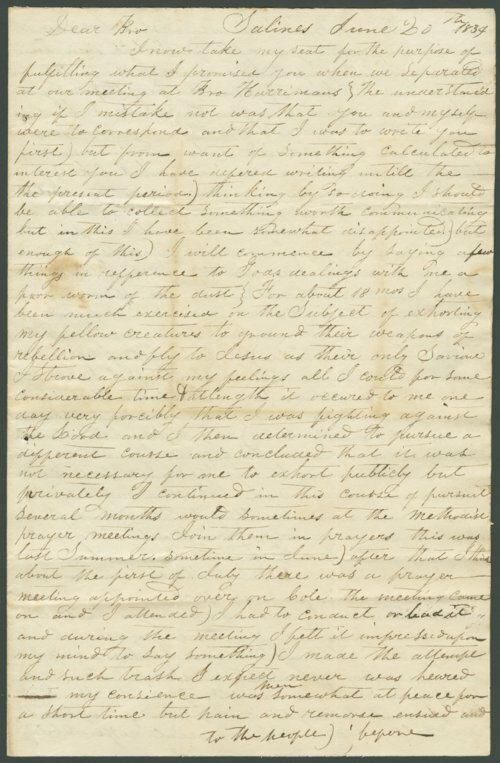 A letter written by Hezekiah Chilton to his colleague Lewis Allen Alderson. Chilton was writing from the salt region of West Virginia known as the Kanawha Salines to his friend in Greenbrier County. Chilton encourages Alderson to join him in his religious pursuits. Alderson later moved to Atchison, Kansas in 1858 and was a prominent Baptist minister. He died in Atchison in 1881.